Why Choose the Keadle Group? We’ve created this Charleston real estate buyers’ guide based on over 14 years of experience helping both buyers and sellers. 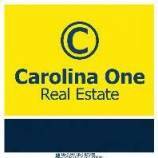 The Keadle Real Estate Group is among the highest ranked teams in the locally owned Carolina One, Charleston’s top selling real estate company. We cover all 10 residential areas in our tri-county metro plus all 6 beaches. Home buyers relocating to Charleston are often overwhelmed by the number of communities in our area. It’s helpful to remember that the heart of the metro is Downtown (also called the Peninsula). This is where most of the tourist attractions, museums, and historic sites are located. Directly surrounding the Peninsula you’ll find James Island, West Ashley, and Mt. Pleasant. Because these suburbs are the closest to Downtown, they see the highest demand from home buyers. Real estate in Charleston ranges from trendy condo highrises to antebellum mansions to beachfront cottages to deep water estates with full service docks. Besides price, the most important factors that determine a buyer’s location tend to be commute time, public schools, proximity to shopping/restaurants, and neighborhood amenities. At The Keadle Group, our passion is finding the perfect home for our clients – and it’s not something that can be done simply by inputting search criteria. Sure, our fully customized MLS search is a great starting point. However, it takes getting to know our clients’ wants and needs and also their long term real estate goals in order to help them make the best possible investment. This attention to detail combined with a constant pulse check on our market creates a Realtor experience that is unparalleled. Charleston real estate is what we know – and what we love doing – and we hope that this passion comes across to all of our clients. 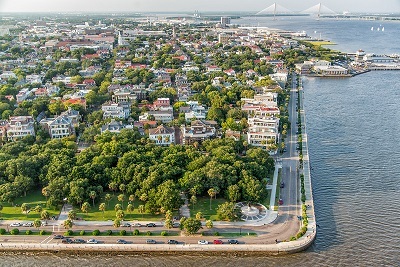 Few cities in the Unites States offer the history, entertainment possibilities, foodie establishments, public parks, artistic appreciation, fantastic healthcare, and economic growth that make up Charleston’s proud heritage. It should be no surprise that many of the 4.8 million tourists who visit Charleston each year choose to purchase a home here, whether as a full time residence or a vacation home. For buyers wanting a city lifestyle and the convenience of walking to stores, dinner, and other attractions, Downtown Charleston real estate is ideal. Residents can enjoy a morning jog with glimpses of the harbor, wander 18th century cobblestone streets, meet friends at a different restaurant each week, or visit the weekly farmers’ market in Marion Square. If country club living is more your style, let us take you on a tour of the best golf course communities in South Carolina. Rivertowne has hosted the LPGA tour. In 2019, the Country Club of Charleston will have the 2019 U.S. Women's Open, and Kiawah Island is already planning the 2021 PGA Championship on its Ocean Course. South Carolina is known for its pristine beachfront settings, and our each of our 6 beaches in Charleston has a character all its own. Surfers flock to Folly Beach which is popular for its colorful atmosphere and super laid back style reminiscent of Key West. Isle of Palms is a little more upscale and offers convenient parking along its Palm Boulevard. The gated Wild Dunes offers golf but is more famous for its ranking 9 years in a row as a Top 10 U.S. Tennis Resort by Tennis Magazine. Historic Sullivan’s Island was the summer home choice for Charleston’s wealthiest families during the 1800s. Its Fort Moultrie and famous resident soldier Edgar Allan Poe summon tourists and locals alike to take a sandy walk back in history. Located 45 minutes from the city, Seabrook and Kiawah Islands also offer resort style amenities with a more private and remote feel. From historic homes to equestrian estates, Charleston’s properties are as varied as the people who live here. Contact The Keadle Group for help finding your place in our extraordinary port city! The Keadle Real Estate Group is located at 1265 Folly Rd Suite #1, Charleston, SC 29412.